Here's everything you need to about bird box. What are people still talking about since december 2018? 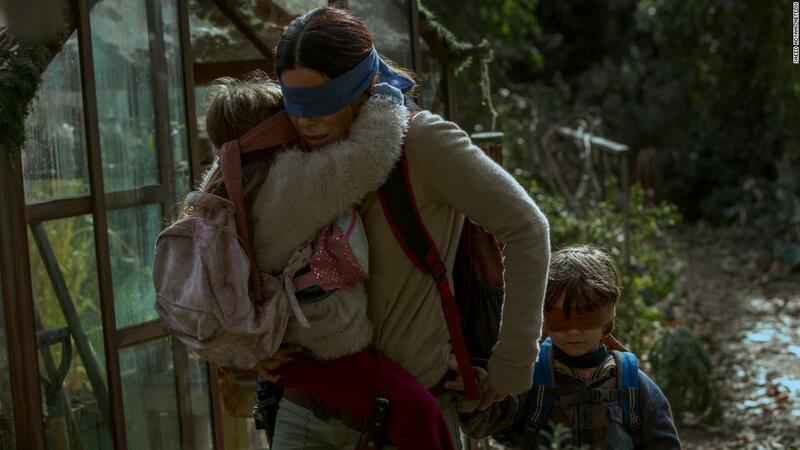 *WARNING* There are spoilers relating to Bird Box, a Netflix original movie in this article. Released last year on December the 13th, this movie has so far been one of the hottest topics for most of the Netflix fantics out there. Genre: Drama, Science fiction & Fantasy and Mystery & Suspense. The movie which is based in California is based on this bizarre energy which plays a role in decimating the population - in short, if you see it, you die. You can only survive by not looking at this energy which means the few survivors which are left are in search for a new beginning which is quite difficult to do if you cannot see it. We see most of the movie in the perspective of our main character, Malorie who we see embarking this tedious yet exciting journey down the river and between branches in the woods with her two children, the difficulty of this they have to complete the entire journey with all their senses besides their eye site. If you have watched it, what are your thoughts?